Craig C. Christensen is a retired businessman and business instructor. He was called as a general authority of The Church of Jesus Christ of Latter-day Saints on October 5, 2002. Christensen presided over the Mexico Mexico City East Mission from 1995 to 1998. 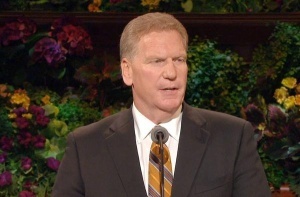 He was called to serve in the Second Quorum of the Seventy in 2002 and served in that quorum until April 5, 2008, when he was moved to the First Quorum of the Seventy. On April 3, 2012, he was named a member of the Presidency of the Seventy. During his service, he also served as Executive Director of the Priesthood Department (2010–2012) and was president of the Mexico South Area (2003–2007). Christensen was born on March 18, 1956 in Salt Lake City, Utah, and lived for a time in Concord, Massachusetts. He served as a missionary in the Chile Santiago South Mission. He earned his bachelor’s degree in accounting from Brigham Young University in 1979 and his MBA from the University of Washington. He has worked as an executive with several companies and with an accounting and consulting firm in California. He has owned his own business in the retail automotive, insurance, and real estate development industries. Christensen taught business and religion classes at BYU. He has also served with several charitable organizations. Christensen and his wife, Debora, are the parents of four children. This page was last edited on 18 March 2015, at 15:30.